Very useful in dry parts of the garden in full sun or part shade, with their wide, flat needles that grow slowly into low, mounded shrubs that are amenable to pruning. From Tasmania, this specimen is both hardy & exotic. 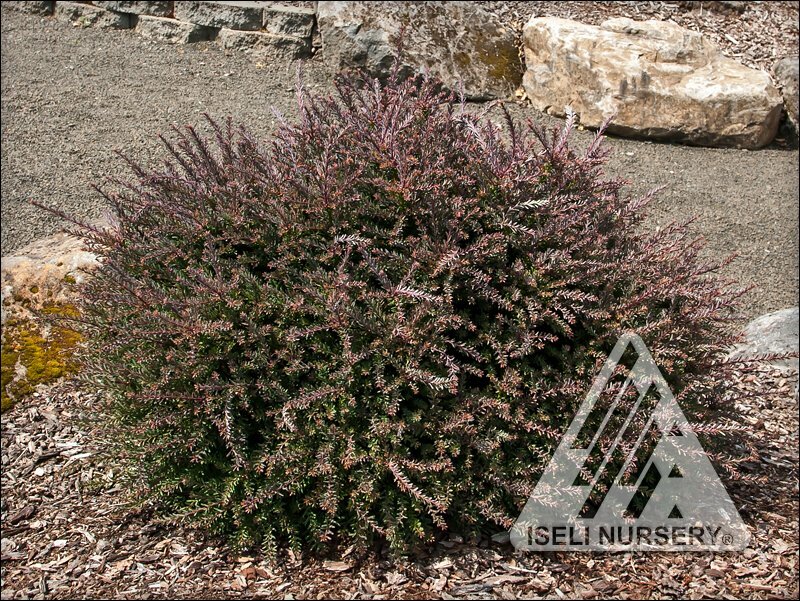 It has thick, blunt foliage like that of a conifer, but instead of cones, it produces lush, red “mountain plums.” Arching branches create a rounded, spreading form, and spring growth emerges purple-red, then matures to green, a color that holds through winter. The adaptable, easy plant is an excellent candidate for drier garden sites. In late summer, the short, thin, yew-like foliage of this slow-growing specimen puts on a flush of deep red that holds through winter. The rest of the year, rich, deep-green foliage spirals up the plant’s short stems. It makes a charming, spreading addition to smaller, warmer, drier sites.